TSPA Junction, Bandlaguda, Rajendra Nagar. smr sm’s vinay casa carino is an expression of our belief in quality living that is an outcome of a qualitative design. It influences and elevates our senses to experience life in its fullest bloom of happiness. Each resident may have a different reason, but clubhouse is one place where all residents flock together. form children to senior citizens, families find themselves connected and entertained. 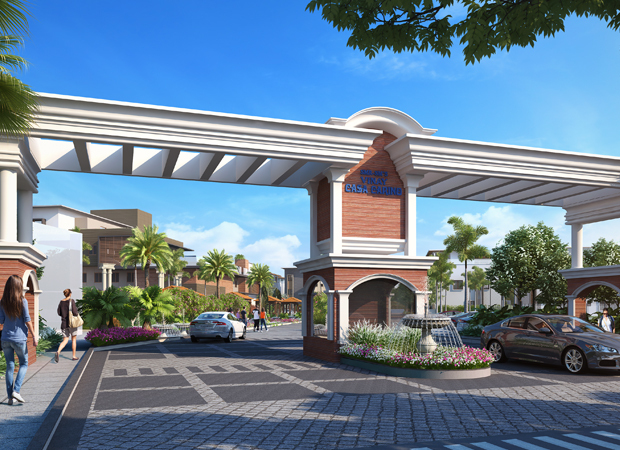 A Villa Habitat From SMR & SM Estates (SPV) at TSPA Junction, Bandlaguda, Rajendra Nagar. A full fledged cricket ground. The temple chimes spread peace in premises. Basketball and other indoor game facilities. Banquet Halls and Common Halls. Children play areas with designer landscapes. Swimming Pool along with other amenities. Our designs are modern and yet drawn in conformity with Vaastu principles. Jogging is running at a gentle pace. Please feel free to use the form below and send your message to us. 1. Vanity type wash basin with imported marble counter top for Main Toilets. Standard wash basin for other toilets. 2. EWC with concealed flush tank of kohler or equivalent brand. 3. All C.P. fittings are chrome plated of Grohe or equivalent brand. 1. Concealed copper wiring with PVC insulated wires and modular switches of reputed make. 2. Two way switches for fan and light in bedrooms. 3. Power points for cooking range chimney, refrigerator, microwave ovens, mixer/grinders, water purifier, exhaust fan in kitchen, washing machine in Utility area. 5. Provisions for internet point and AC point in hall and all bedrooms. 6. TV points in hall and all bedrooms. 7. Three phase supply for each unit & individual meter boards. 8. Miniature Circuit Breakers (MCB) for each distribution boards of the standard brand. 1. Telephone points in living ,dining areas, master bedroom & children bedroom . Provision for Cable connection in all bedrooms & living rooms. 2. Sewage Treatment plant of adequate capacity as per norms will be provided inside the project. Treated sewage water will be used for the landscaping & washing purpose. 100% D.G set backup with accoustic enclosures.